A city built out of 221,314 sugar cubes is used to illustrate the amount of sugar an adult would consume over a lifetime were he or she to consume a soda a day, in a US ad for water filter brand Brita. The commercial is another attack on the increasingly beleaguered soft drinks industry. The 30-second spot starts off small, with an image of nine sugar cubes and the voiceover declaring: "This is the equivalent of the sugar in one regular can of soda." More cubes are used in the construction until a few skyscrapers are formed to illustrate the amount of sugar consumed from drinking a "soda a day for a year". 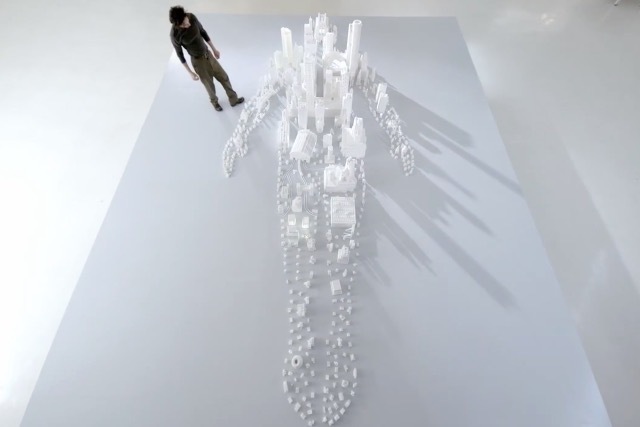 The big reveal shows a large model city in the shape of a human body, representing the amount of sugar that would be consumed over a lifetime's daily consumption of a soda. "Drink more water," the ad says.